Nokia has officially announced the latest addition to its E-Series line up of business devices, the E63. At a first glance, one might think that it is a new color for the E71 but there are major differences between the two. The E63 is cheaper than its cousin and is touted for its social networking features. 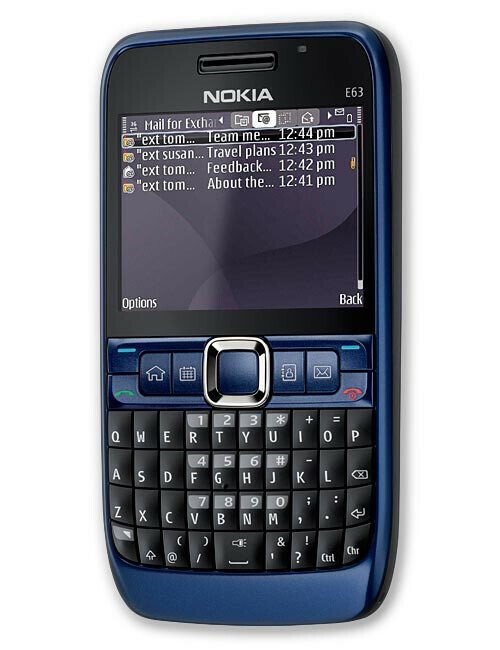 Similar to the E71, the E63 also comes with the ability to switch modes which results in changing the phone's outlook from work to personal and vice versa. 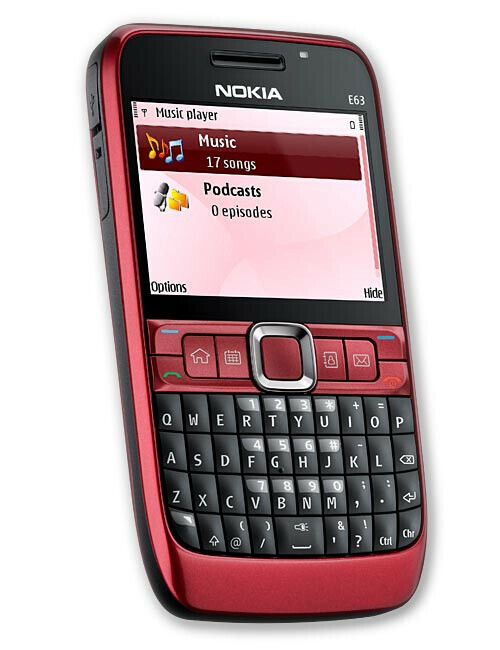 The 2.5mm jack on the E71 has been changed to 3.5mm on the E63 enabling users to plug in standard headsets when they want to listen to music and like the majority of Nokia phones, the E63 also supports the A2DP profile for connecting Bluetooth headsets. One of the major downgrades on the E63 is the camera, from 3.2 to 2 megapixel resolution. Another major difference between the two is that the Ctrl and Char keys are separate on the E63 as on the E71, they both are on one. This has resulted in a smaller space key on the E63. 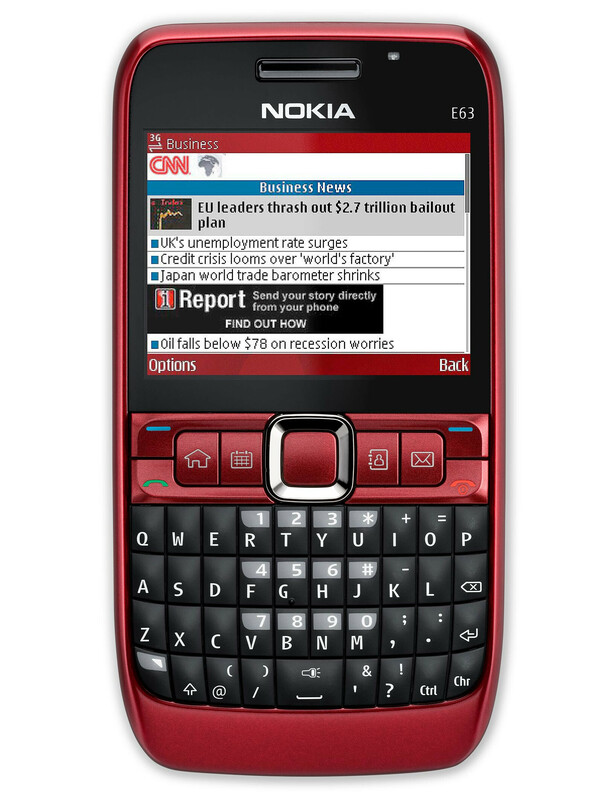 The Nokia E63 is expected to be available soon at $250 (EUR 199) before taxes. If you're considering switching to a Smartphone,start with Blackberry or Windows Mobile,then move on to Symbian. what!?! no touch screen! that has 2 be a standard!